Rev. Mark and Rev. 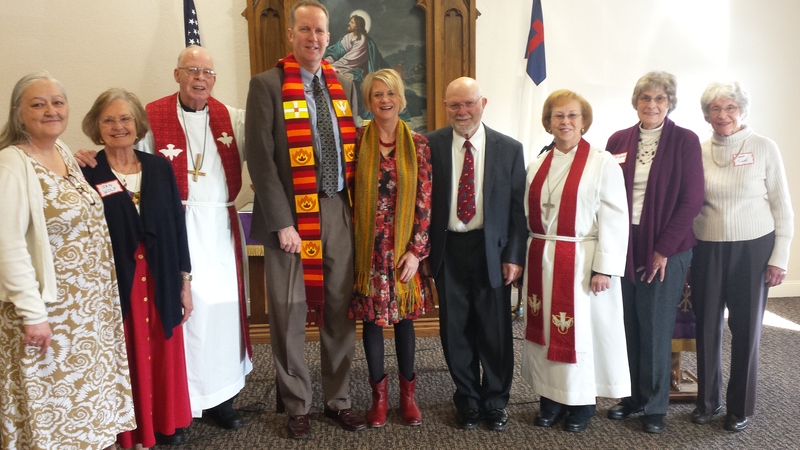 Wenda Fry were installed at Joy Lutheran Church in Billings, Montana, on March 12, 2017. Particicpants in the service (left to right) included: council members Jan Wolf and Deb Lane, Pr. Warren Baker, Pr. Mark Fry, Pr. Wenda Fry, Paul Johnson (Council President), Pr. Ingrid Aderhold, and council members Jan Hunter and Carol Wahl.